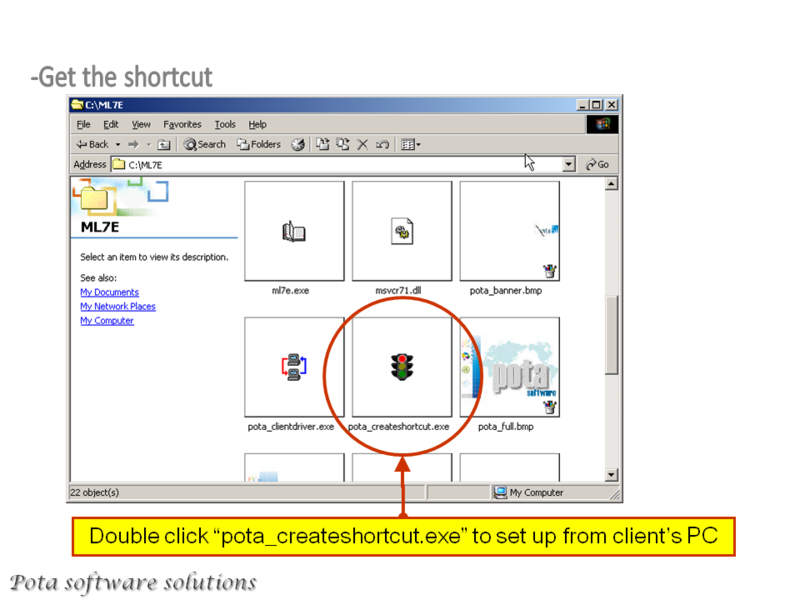 When you install the Pota software (ML7E, CR7E) on your computer, an embedded database is installed by default to allow you to try out the software without further configuration. 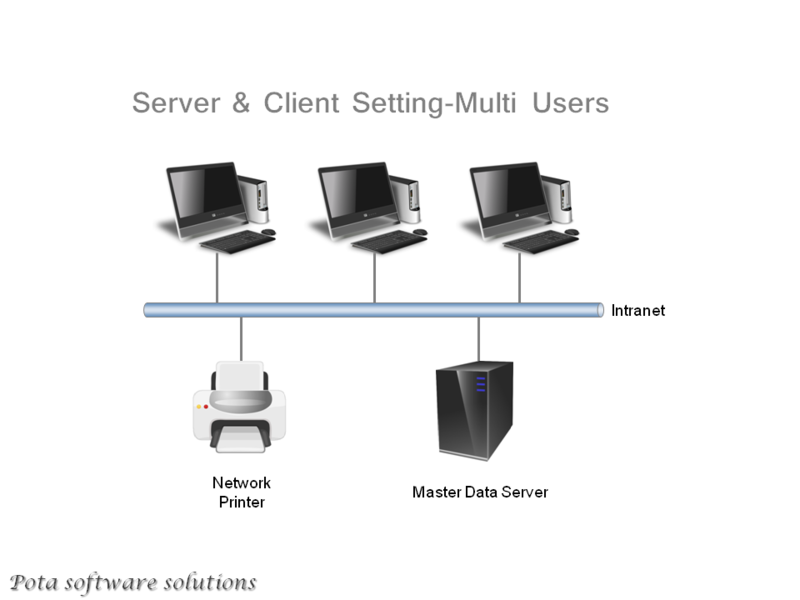 However, when you're ready to share the software on a network with multiple users, you need to install a shared database on a server. 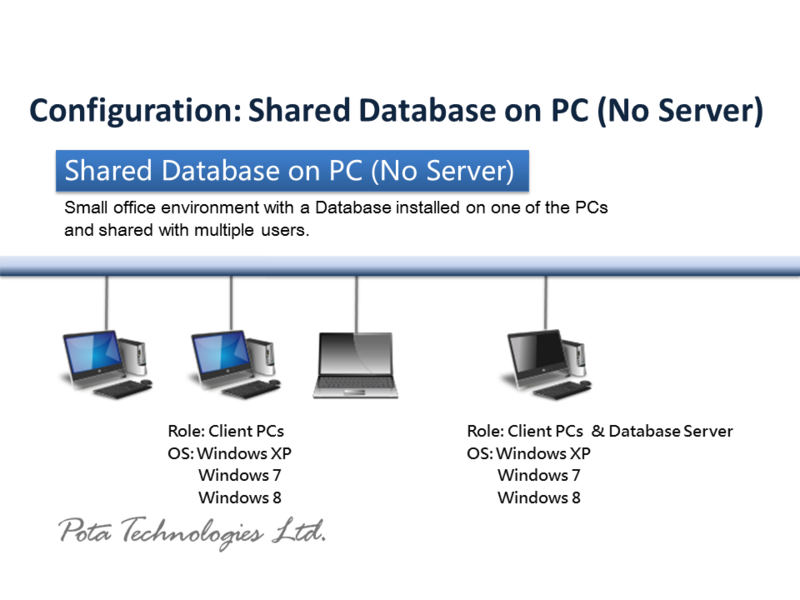 Any Windows computer may act as the database server, as long as it is accessible from all of the computers which need to access the shared database. 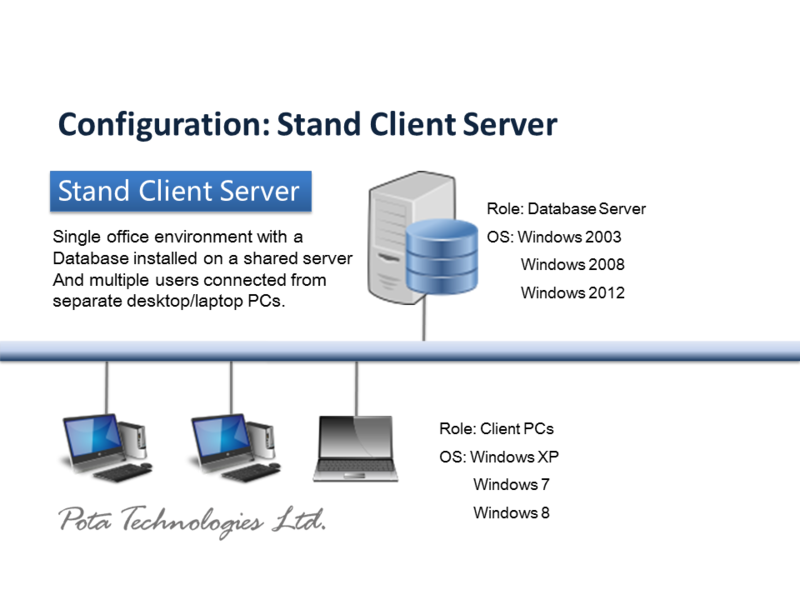 You also want to make sure the computer is able to run without interruption to avoid any potential for database corruption which might occur if the computer is restarted while users are connecting to and using the database. 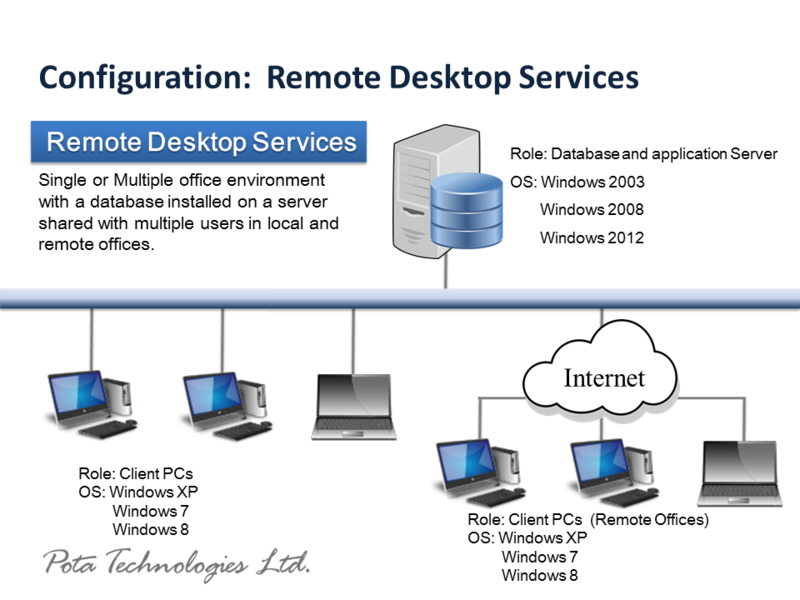 There are three basic configurations to choose from. 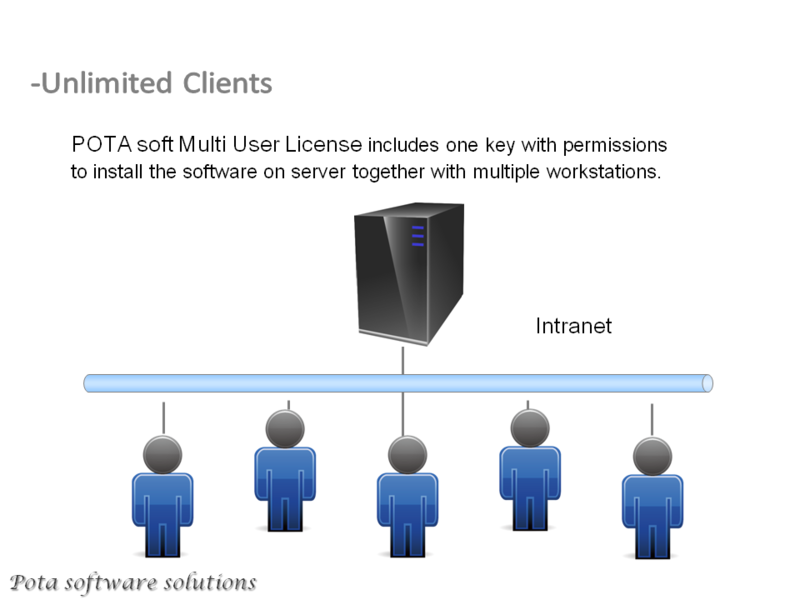 Pota Library Management System (ML7E) is server/client structure. 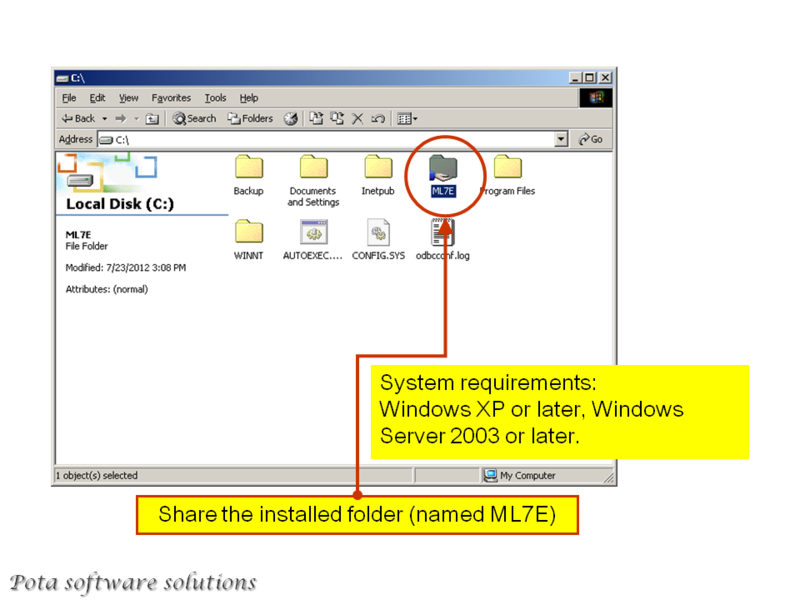 It is easy to set up several PC to assist the library management. 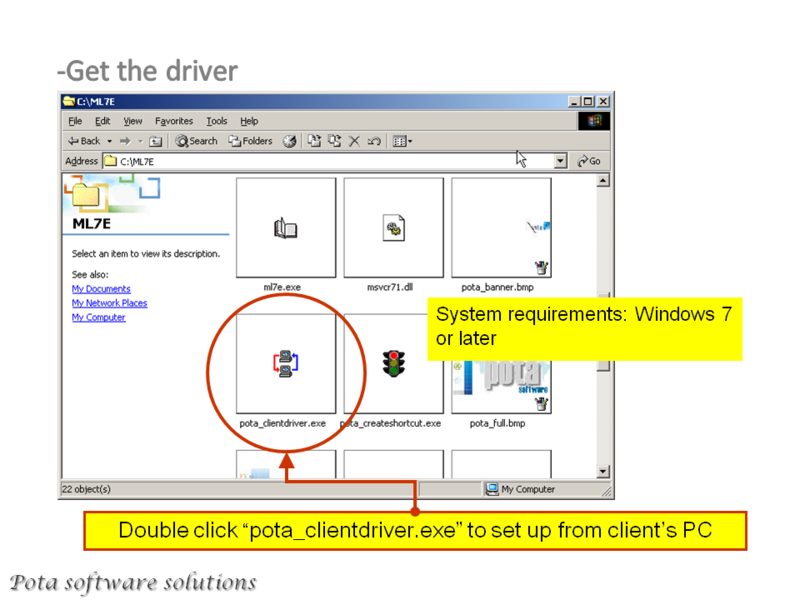 We develop packages in various languages, please always download the trial version from POTA official websites, to make sure you have got the newest and well-maintained version.